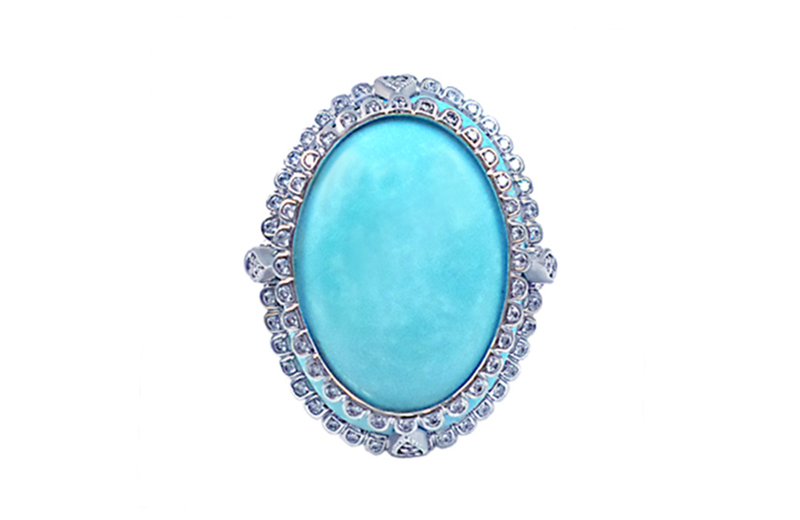 Sleeping beauty turquoise cabochon, 14k white gold double scallop halo with diamonds. 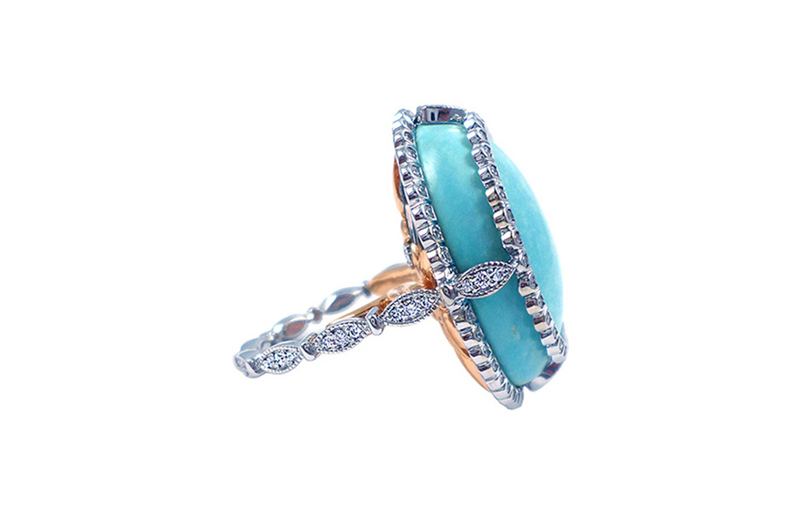 Marquis shaped diamond band. 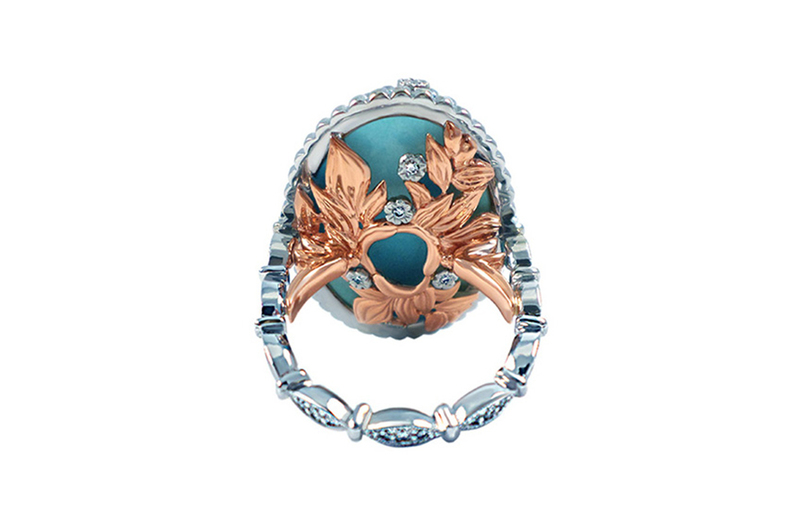 The underbelly of this turquoise cocktail ring is made of 14k rose gold leaf motif and platinum flowers with diamonds.